Mamelodi Sundowns right-back Anele Ngcongca says the tough conditions they will face against ASEC Mimosas is not something the club will complain about. 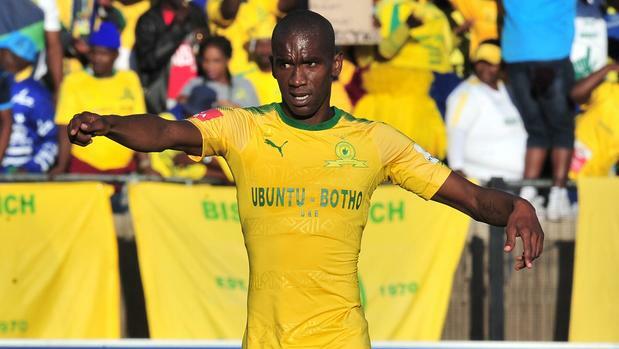 Sundowns take on the Ivorian giants at the Stade Felix Houphouet-Boigny from 18:00. The Brazilians are on top of Group A in the CAF Champions League and could take a major step towards the next round with a victory. The field in Abidjan is reputed to be in awful condition for playing football, and the tropical heat in West Africa is another factor. Ngcongca said: "There's the heat, but we have experience enough to manage the game. The pitch is not one of the greatest pitches, but we don't have to complain. "We have to go out there and do the job. The most important thing is to make sure the attitude is right and the mentality is okay. "We've been in this situation before, so it's nothing new. If your mindset is right on the day, anything is possible. "When I look at it, both teams like to play football. But I think it will be a game of mistakes when I look at the pitch. No one is going to play nice football. "On the day we are going to need soldiers because both teams will be fighting for maximum points. There's no beautiful football on that pitch. The most important thing is to see ourselves going through and hopefully we can. "We have not done well away, but if I look at the Lobi game we could have done better. But it's water under the bridge and we need to look at our next game. It's possible to collect three points. I believe it's possible for Sundowns to collect points away because we've done it before."